Drive vehicle sales and advertise special promotions through the use of full color digital graphics. Signs can also communicate with customers who browse your lot after hours. Big, bold banners draw attention from a distance, promoting sales, new inventory and special events. A banner program keeps your message fresh and builds awareness for your products and services. 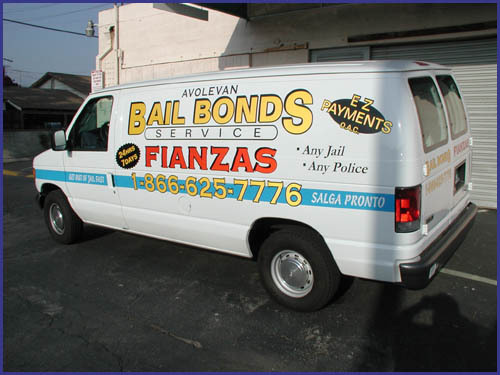 Durable, vinyl graphics turn your courtesy cars and service vehicles into moving billboards to promote your business. We can also customize fleet cars for your customers before they leave your lot. A tent sign on the roof of a vehicle can directly and effectively promote special features and financing. Promote new model arrivals, seasonal promotions and hours of operation using ready-to-apply window graphics. An attractive, well-organized menu board serves as a great suggestive selling tool in your parts and service areas. Easy-to-read signs help your customers find their way around your lot, identify appropriate parking areas and zero in on the kind of vehicles they're looking for. Use with job tickets, car keys and financial paperwork. Easily put your name or message on almost any surface with custom decals and labels. Use Safety and I.D. signs to indicate potentially hazardous situations. Meet OSHA and ADA requirements while providing your customers with a safe environment by using signs to protect and direct them in service areas. Initiate a banner program to drive sales throughout the year. To keep your customers apprised of new inventory and promotional specials, display a new promotional banner each month. Studies show that people tend to ignore what has become familiar, but a new look and message may reawaken interest. Sell signs along with your vehicles. Give your fleet customers even better service: with InstantSign help, they can drive away in a truck or van that's ready for business when they buy it from you with their custom vehicle graphics already in place!